Sears Tower. 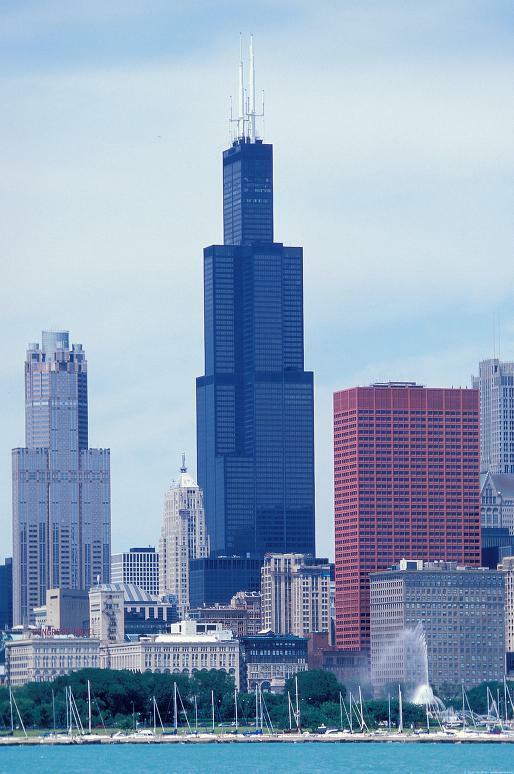 Image Courtesy of Scott Gilchrist, Archivision, Inc.
Sears Tower from Lake Michigan, SOM, 1970. Image from Archivision, Inc.